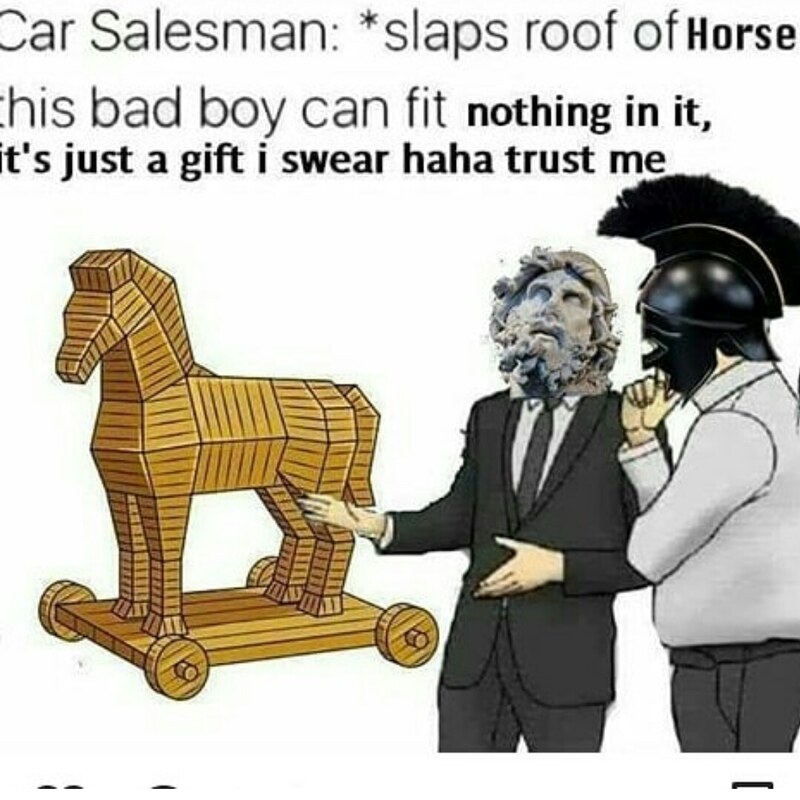 The Brief: This meme is a drawing of a Trojan horse labeled to represent someone's ulterior motives or how something can be misleading. 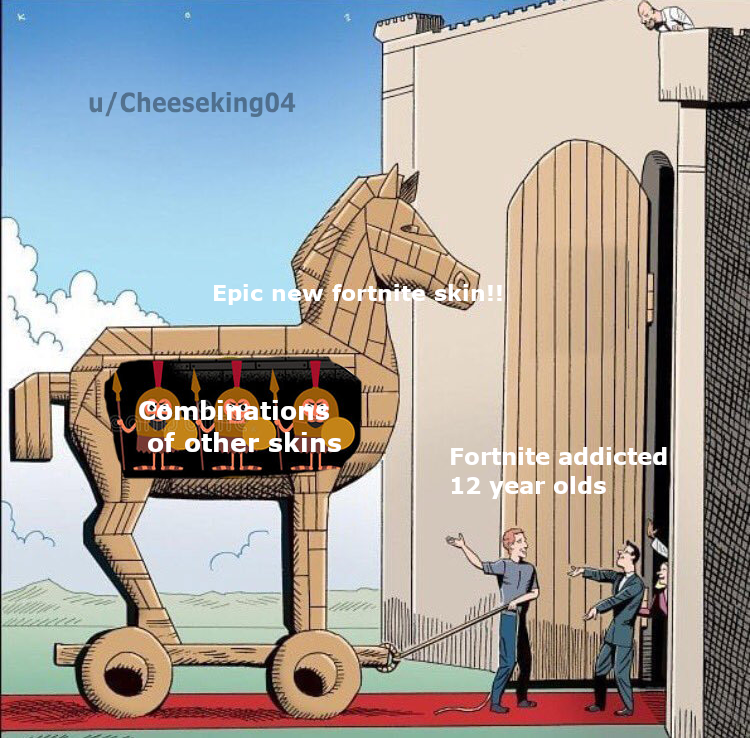 Like in the myth, the Trojan horse meme depicts something that has been disguised and sneaks up on someone. This object-label meme can also be used as a political meme, meta-meme, or anti-meme.